What's better than a new house? This house! 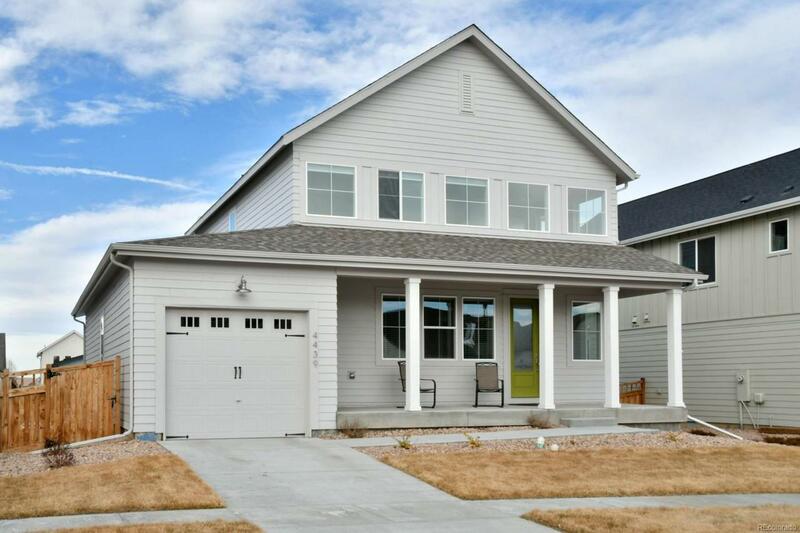 Immaculate & nearly newthis Brighton Crossing home boasts the condition & appeal of newconstruction yet all the value, benefits & homey touches of a resale home! Homeowner has spent over $10,000+ out of pocket adding the featureslike: window coverings, radon mitigation system, private fence & many others! The 9 ceilings complement the open floor plan. Youll love to cookin the modern gourmet kitchen. Large, soaring windows, huge kitchen island, quartz counters & stainless-steel appliances. Natural light poursinto the entire house through a multitude of energy-saving windows. Work from home in the main floor den. Mud room. Master bedroom featuresa large ensuite bathroom with spacious shower & huge walk-in closet. Full unfinished basement. Oversized 2-car tandem garage with doorsaccessing street or alley. Fully fenced! This community has its own fitness facility, pool & inviting community amenities. Stop here before you buynew!